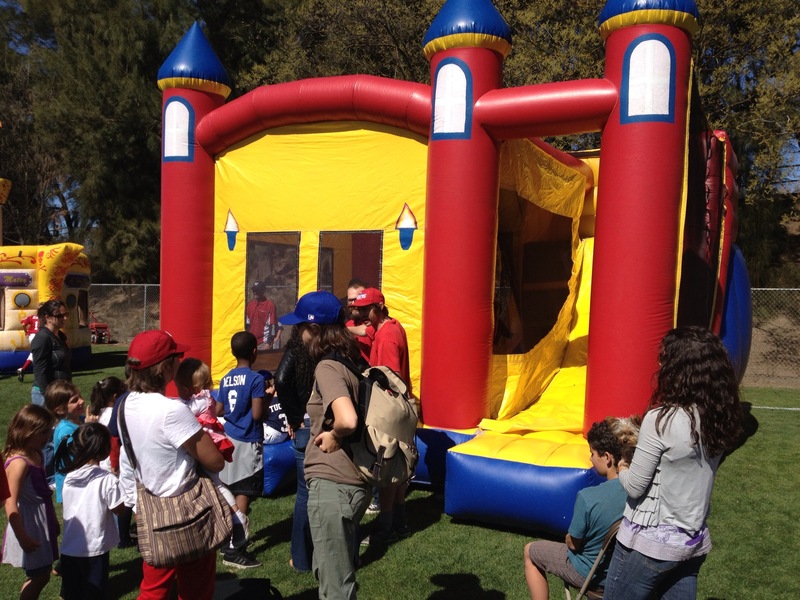 Our Combo unit category features several inflatables that range from simple bounce house style units all the way up to big slides. 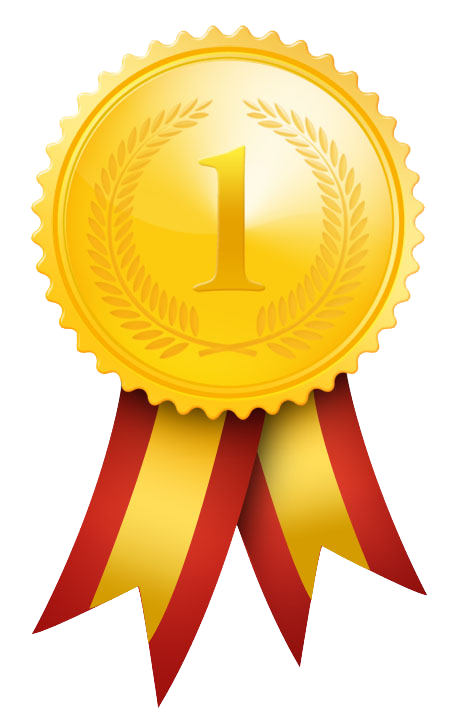 A favorite for all parties is the 3 in 1 combo or 5 in 1 combo unit. Both offer climbing apparatus’ and a neat slide. The 3 in 1 units carry your kids right out of the unit once they slide down, allowing a continuous flow which increases the hourly rider capacity. 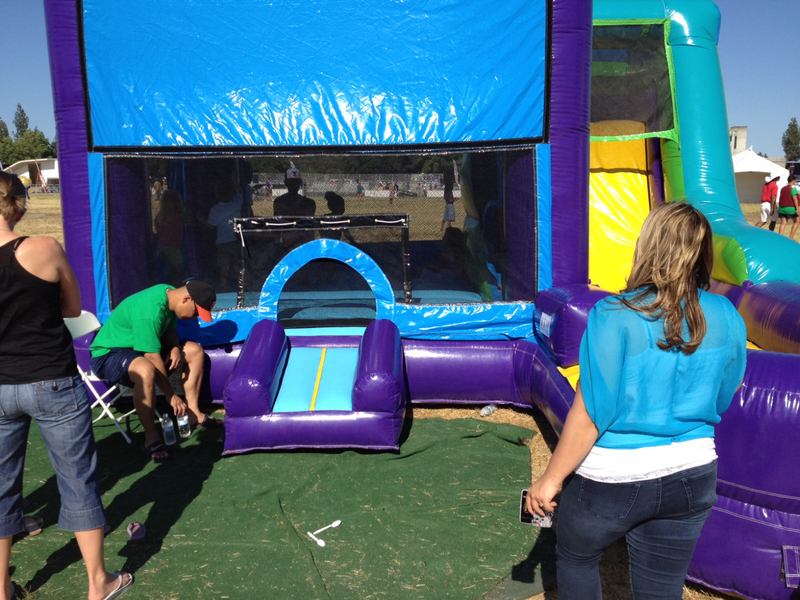 The 5 in 1 is also popular in that it has a tunnel and small obstacle course built right into the bounce. 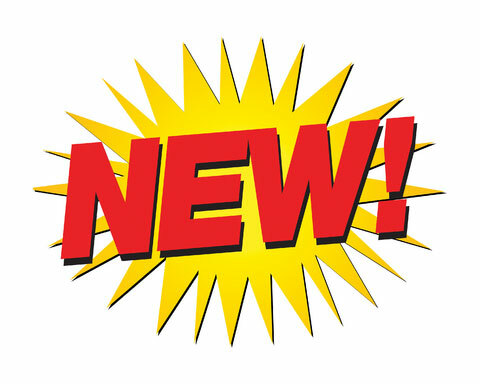 Most of our Combo units can be themed such as SpongeBob SquarePants, Dora The Explorer, Sports, Princess, Super Heros, and Noah’s Ark to name a few. Can't decide between a slide or a bouncer? Get both! 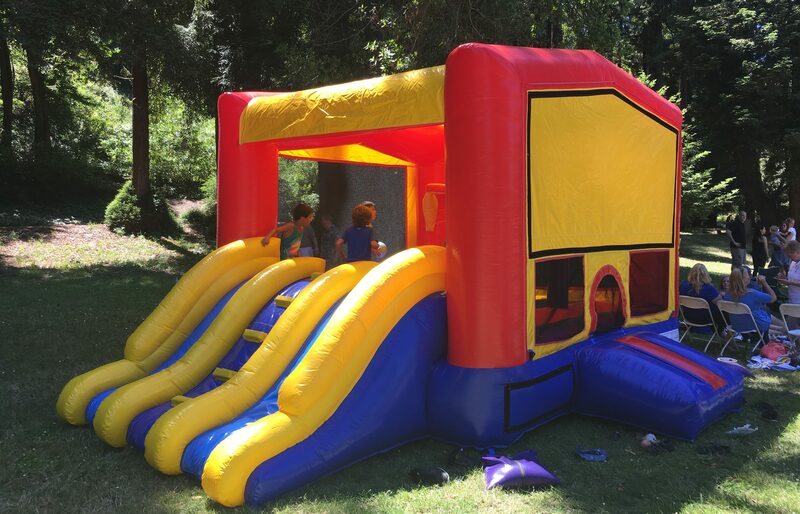 The 3 in 1 Combo Side Slide combines a bounce house with a dual slide and it also includes a basketball hoop for showcasing your dunks! Perfect for any occasion. 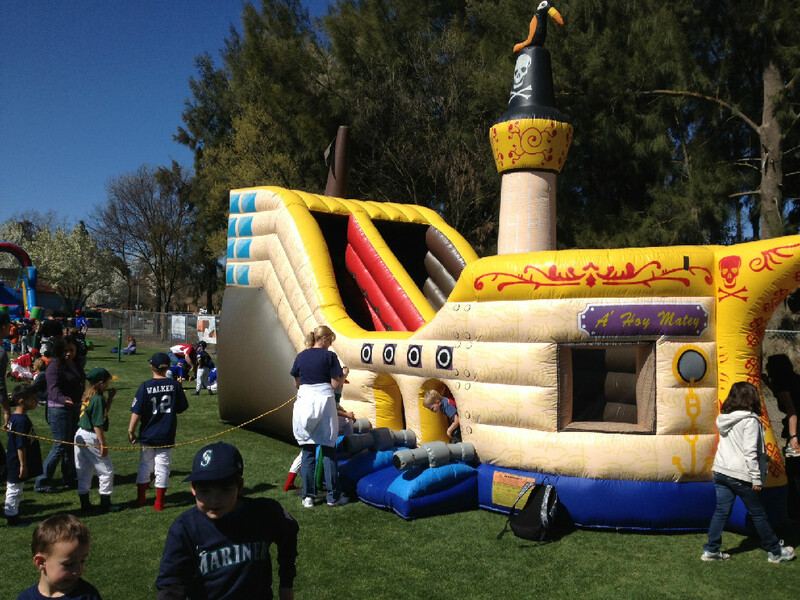 It’s more than your typical bounce house, it’s a 5 in 1 combo attraction. 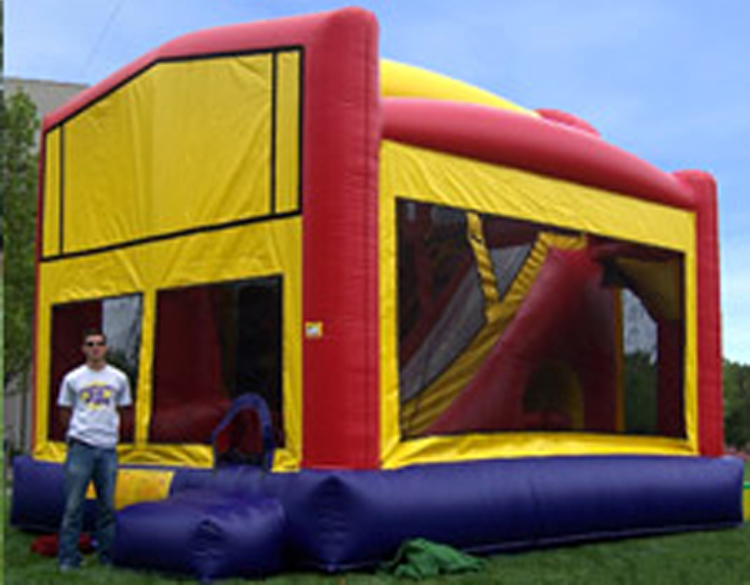 The 5 in 1 “Fun House” Combo features a bounce area, several obstacles, built in basketball hoop, ladder and tall slide. A very fun piece for any event large or small! The choice is yours on the theme. Choose from one of several themes. The 3 in 1 Castle Combo is a must have for your younger children. 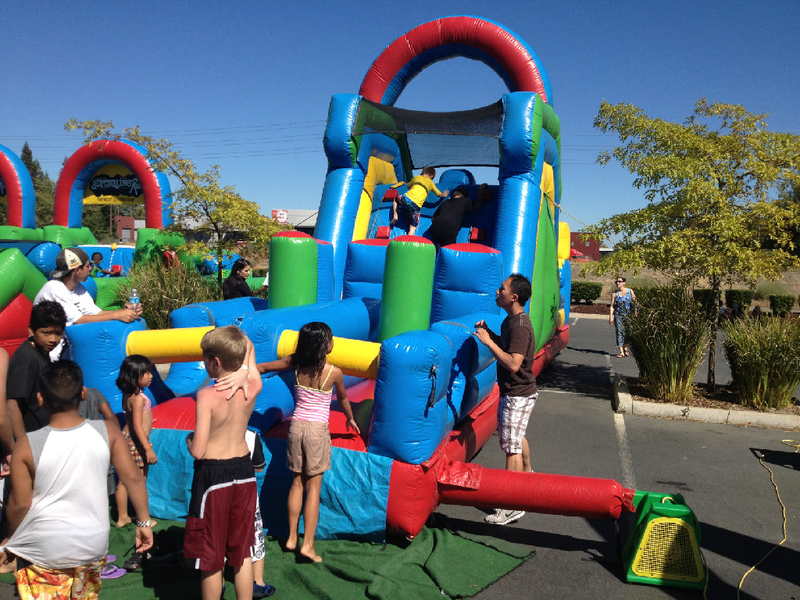 It features a large bounce area, climbing structure and a slide. Great for birthday’s, corporate parties or festivals!